AFRICANGLOBE – Credible sources in the United States, Saturday, hinted that the White House might be planning to offer Nigeria a more significant military assistance to fight the Boko Haram terrorist group after the Presidential elections. In the same vein, the African Union, yesterday, agreed to send 7,500 troops to fight the Boko Haram insurgency in Northeast Nigeria. The head of the African Union’s Peace and Security Council, Samil Chergui, who made disclosure said the move came after the council urged heads of state to endorse the deployment of troops from five West African countries to fight the terror group. It is, however, uncertain, whether, or not, the outcome of the election would influence US’ plan to reconsider its earlier decision not to sale cobra helicopters to Nigeria. The planned military assistance, it was gathered, points to the possibility of approving sale of cobra helicopters to Nigeria, an assistance that was previously denied it. TheUS Secretary of State, John Kerry, hinted this in his meetings last week in Lagos with Nigeria’s President Goodluck Jonathan and his main challenger, General Mohammadu Buhari. In fact, the US government has decided that while it will continue with the level and range of help and assistance it is currently rendering to Nigeria, more significant support, including a review of US decision not to approve the supply of Cobra helicopters to the Nigerian military, will follow after the presidential polls. In the same vein, the US may change its attitude on the level of American military training for Nigeria, essentially finding a way to work around the Leahy amendments, which constrains the use of US military training for countries with tainted militaries on the issue of human rights violations. It was disclosed that such reviews, both for military training and supply of the military fighter jets/weapons, would be facilitated not only with a new and different administration taking charge in Nigeria, but essentially the change in US policy can also come with a peaceful, free and fair election, no matter who wins the election. But what is clear, according to informed US sources, is that the US is essentially waiting on a peaceful outcome of the presidential polls next week. In fact, the White House has scheduled a major counter-terrorism conference, called “Summit on Countering Violent Extremism,” for Feb 18; and foreign leaders, including those from Nigeria, would be invited. Already, members of the US Congress from both the Democratic and Republican parties are raising questions on the restraint of the White House to offer Nigeria a full-fledged support especially in regards to military and security assistance. For instance, the Chairman of the US House of Representatives Foreign Affairs Committee, Congressman Ed Royce, and members of his committee are said to have invited the Nigerian Ambassador to the US, Prof Ade Adefuye to a meeting tomorrow (Monday February 2). Adefuye has been cited by several US sources as being singularly responsible for the pressure now being mounted on the US government even from within, regarding the need for a review and ramping up of American support and assistance to Nigeria on the fight against terror. Sources said the meeting is a follow-up to last Tuesday’s Congressional hearing on Nigeria, where US members of the Congress actually criticised the US government’s limited support to Nigeria in its fight against Boko Haram. The meeting will explore what more the US government can do and how the US Congress, now in the hands of opposing Republicans, can put more pressure on a White House controlled by Democrats. 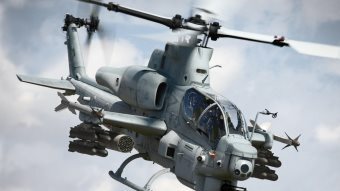 US Defense Department (also known as the Pentagon) and US Africa Command officials have been particularly critical of the Nigerian military and are said to have been responsible for the refusal of the US government to okay the sales of the Cobra attack helicopters to Nigeria. Besides, the White House and State Dept officials have invoked the Leahy rules to explain why the American government has been limiting its military assistance to Nigeria. The Leahy rules constrains the US government to provide military assistance to a foreign country whose military has been accused of human rights violation. However, in response, a number of US Congressmen and women have argued that there are untainted Nigeria military formations that can be supported by the US. Sources added that the US government might change the application of that Leahy amendment and rules, since any of the two leading candidates — President Jonathan and Buhari — that emerge would be technically considered a new administration. Meanwhile, African leaders who are members of the 54-nation African Union met in the Ethiopian capital, Addis Ababa, for a two-day summit that ended yesterday. U.N. Secretary General, Ban Ki Moon, earlier said he supports the AU’s move to send a force to fight Boko Haram, a sect that is already stepping up attacks as Nigeria prepares for February 14 elections. The 90-year-old veteran leader, who was elected head of the union on Friday, replaces President Mohamed Ould Abdel Aziz, of Mauritania.